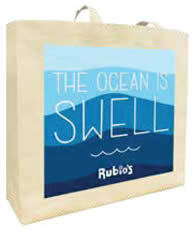 FREE Tote Bag at Rubio's!! If you have a Rubio's near you here is a FREEBIE you won't want to miss! FREE Reusable Tote Bag at Rubio’s!